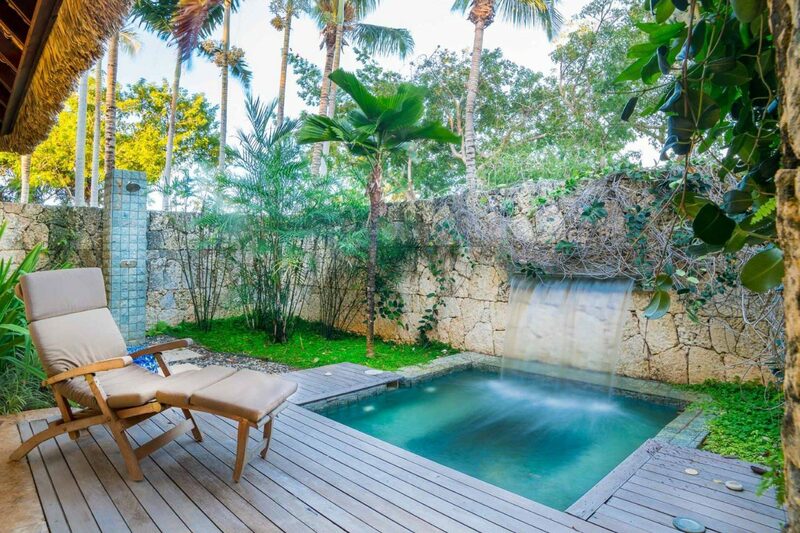 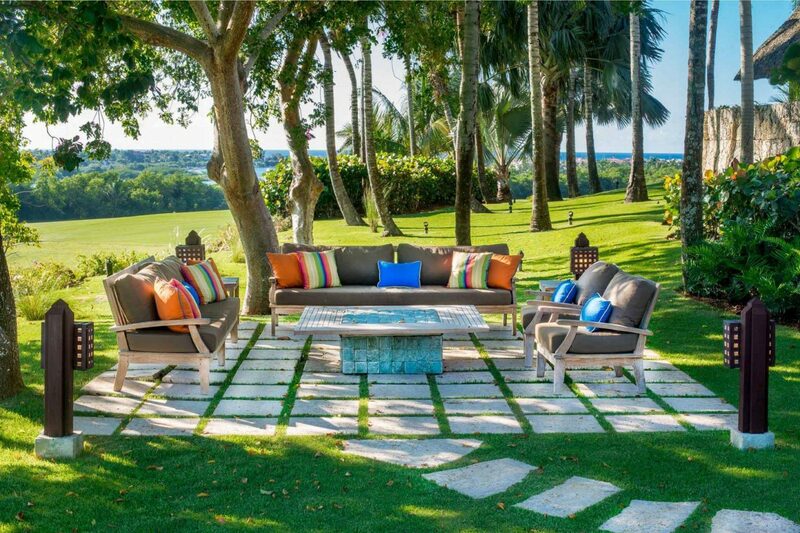 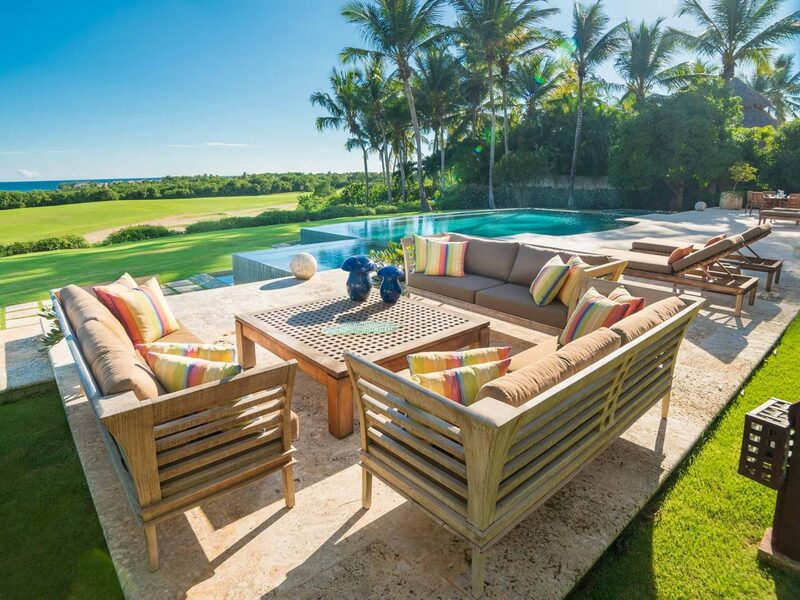 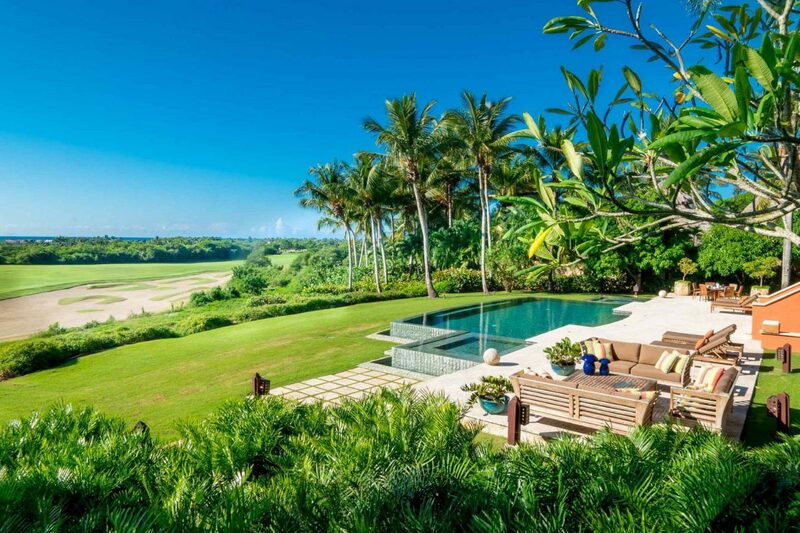 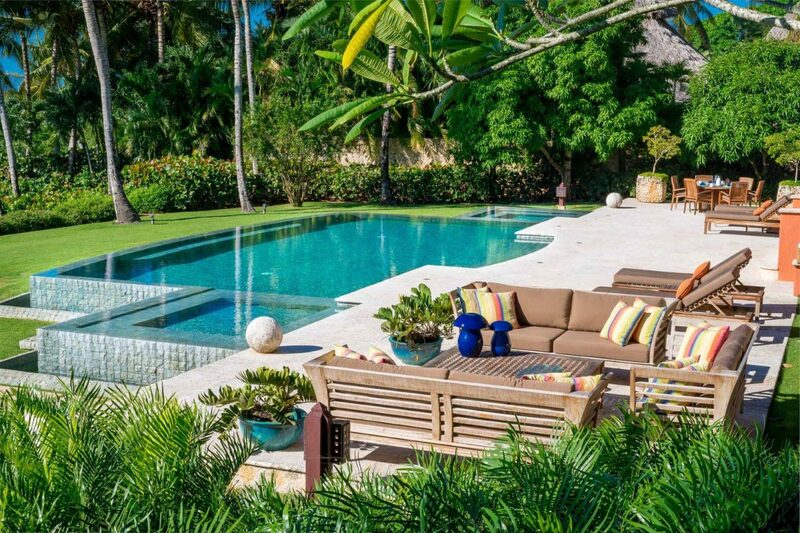 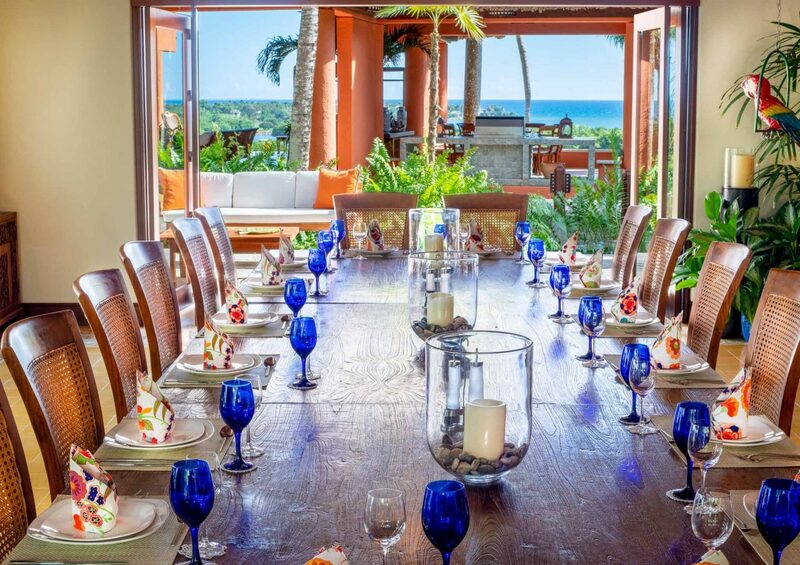 Refined, sophisticated, peaceful and unique are just four of countless words which can be used to accurately describe “Villa Alegria,” which is situated within the exclusive Casa de Campo® Resort in the Dominican Republic. 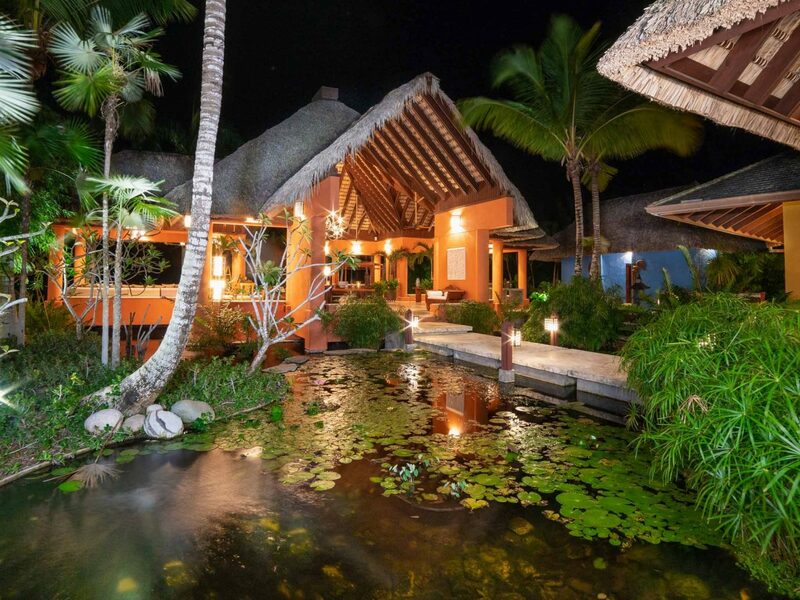 “My wife and I always wanted to live in a tranquil fishing village,” states the current owner. 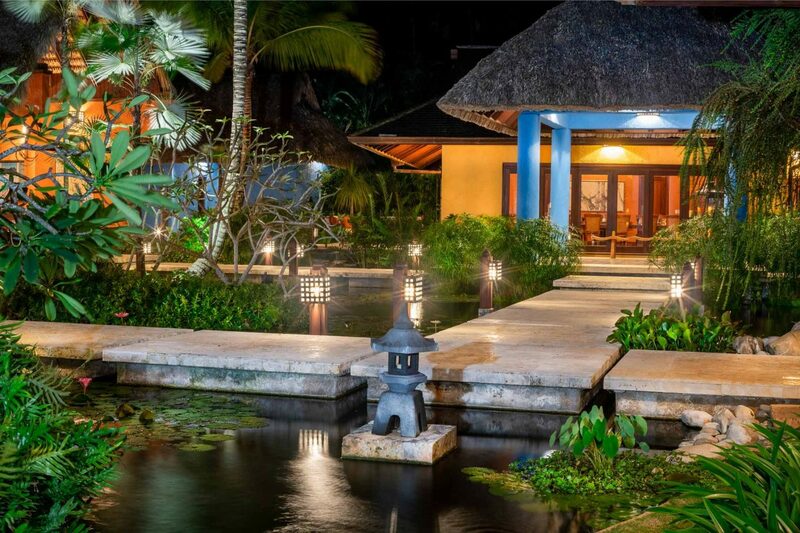 As you enter the estate, following a grand and private, gated driveway, you are met by a front door, sans lock, and immediately, almost naturally, you are invited to leave everything behind as you lay your sights upon a magical central “dock-style” walkway surrounded by fantastic water features, gorgeous fish ponds, countless water lilies with flowers blooming, and thatch roof “casitas,” all which combine perfectly to transport you and your senses to a peaceful and luxurious fishing village atmosphere where time ceases to exist. 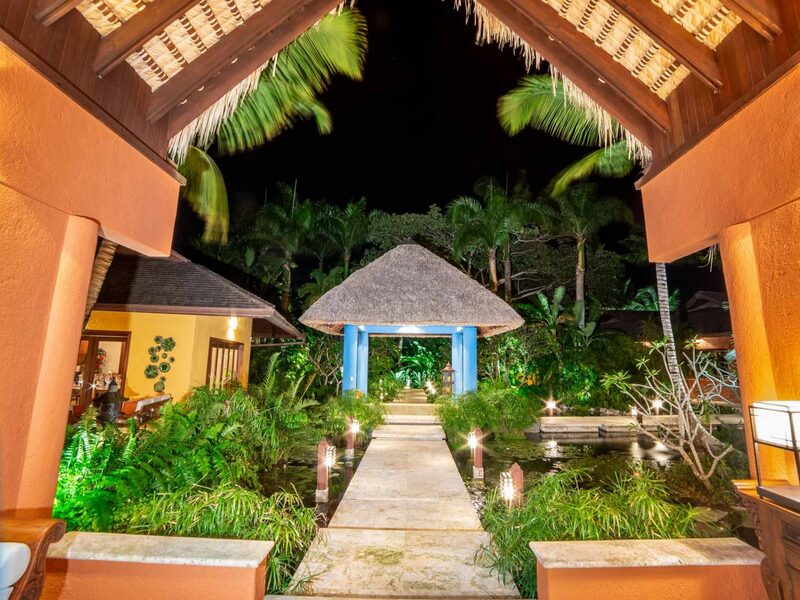 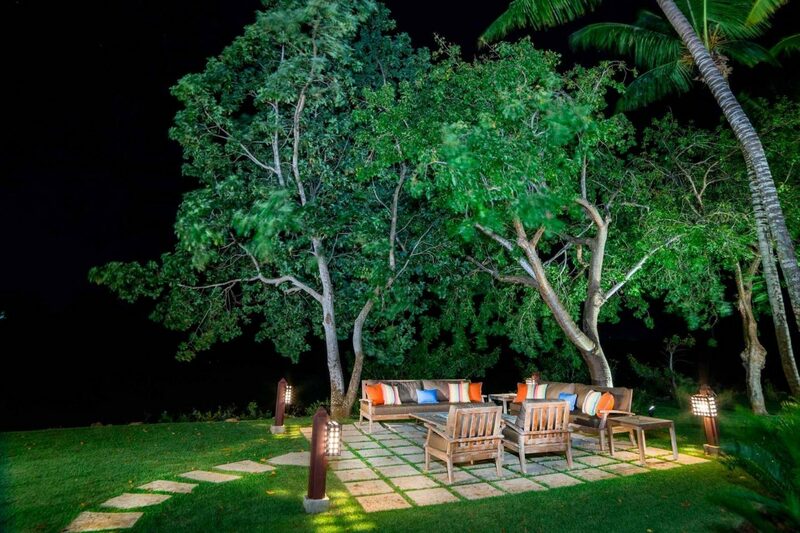 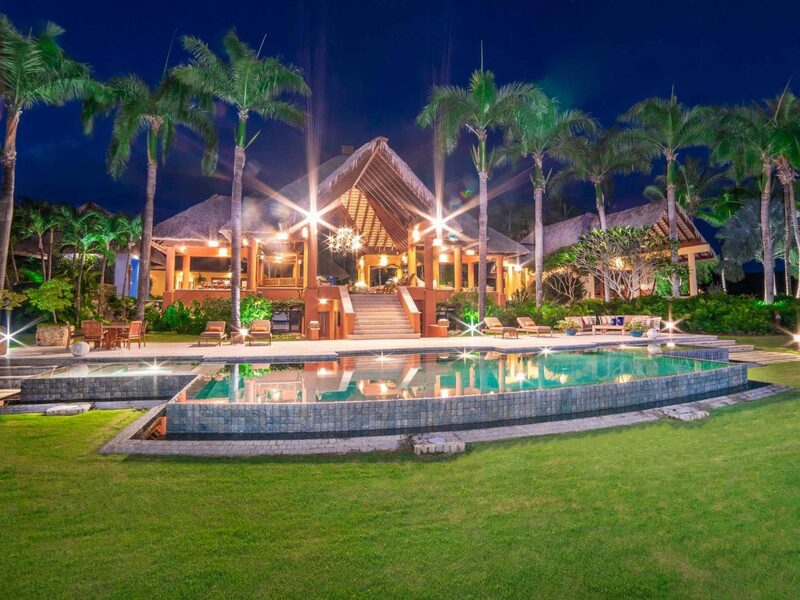 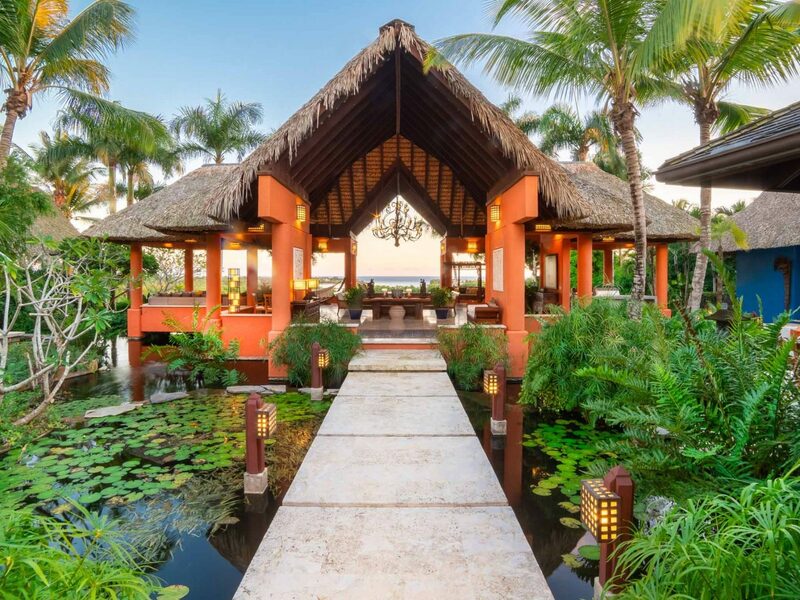 This personal, open-air, tropical, interior garden is a privileged ambiance which cris-crosses at a central gazebo connecting the social, resting, and dining areas of the estate, always causing one to feel at peace with nature. 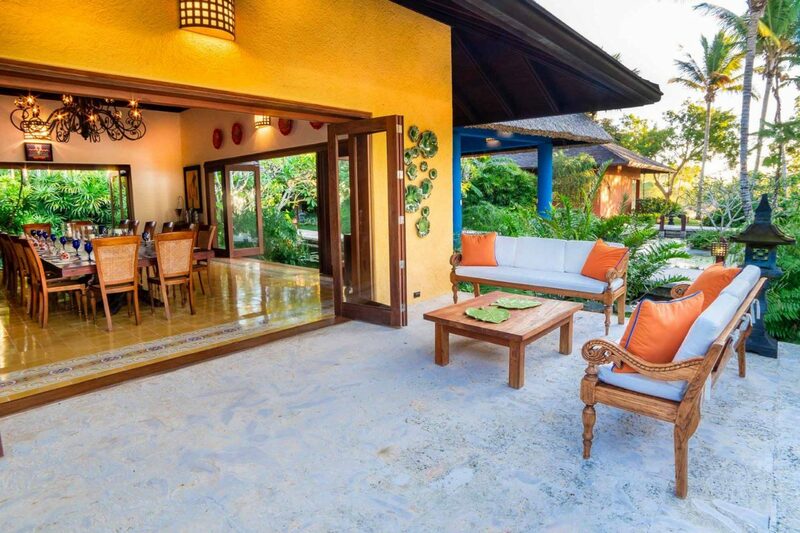 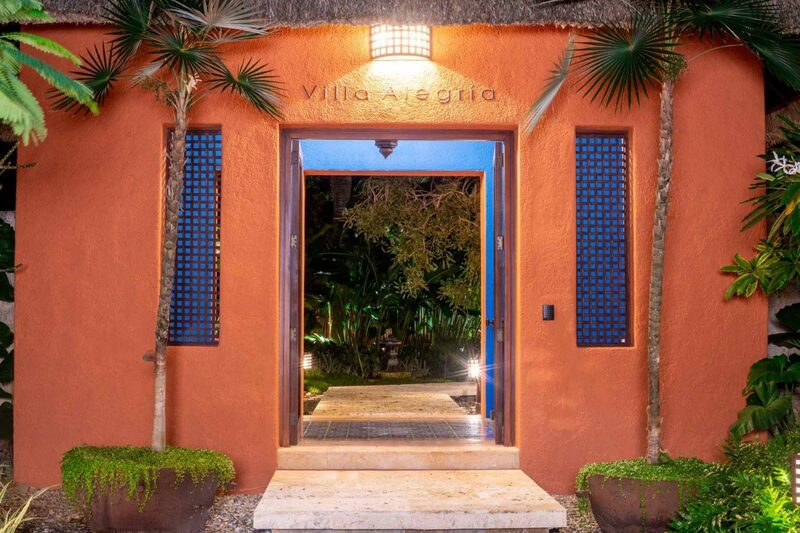 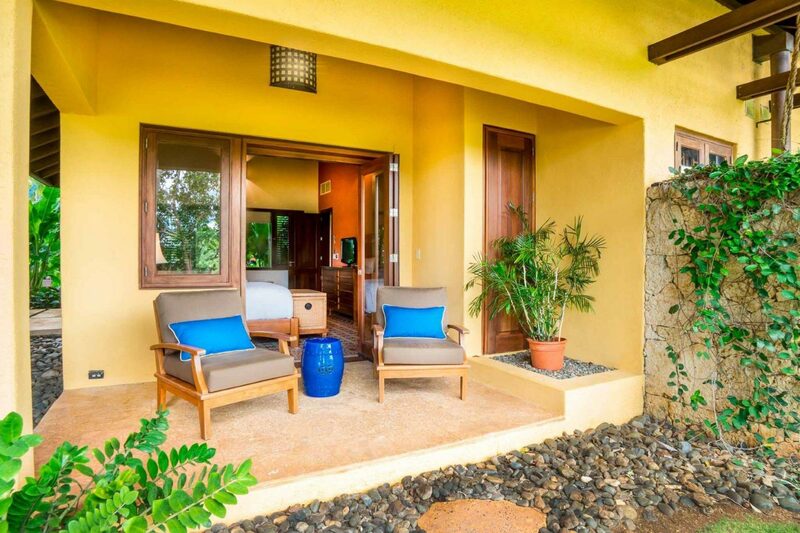 Because Villa Alegria is a “home,” not just a house, everywhere you look you will see that there is an origin and a destination regarding every aspect of the home. 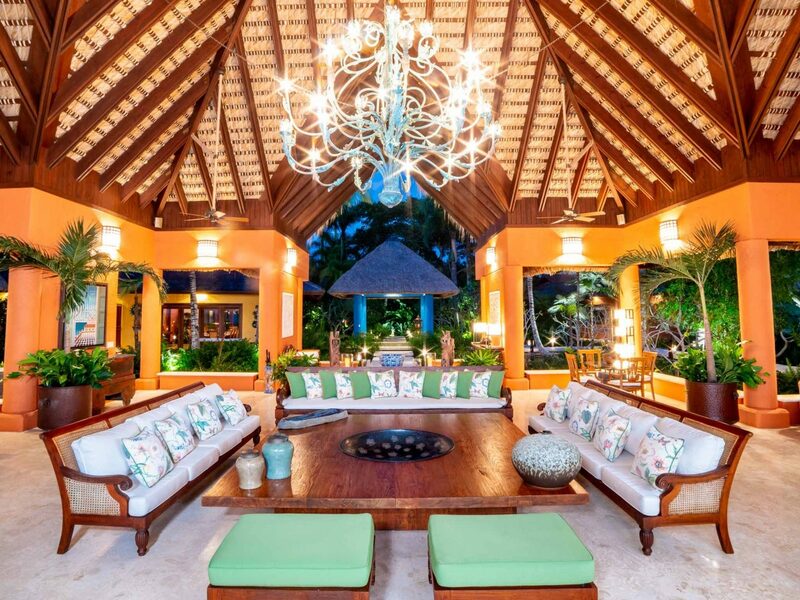 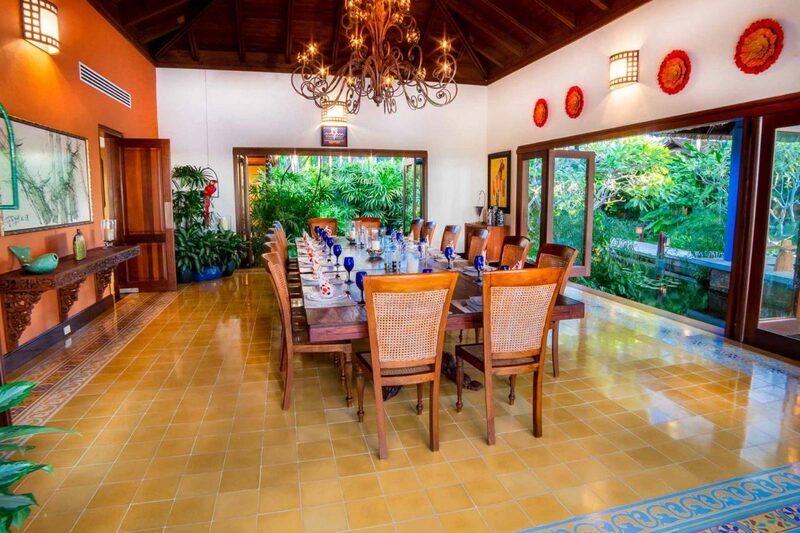 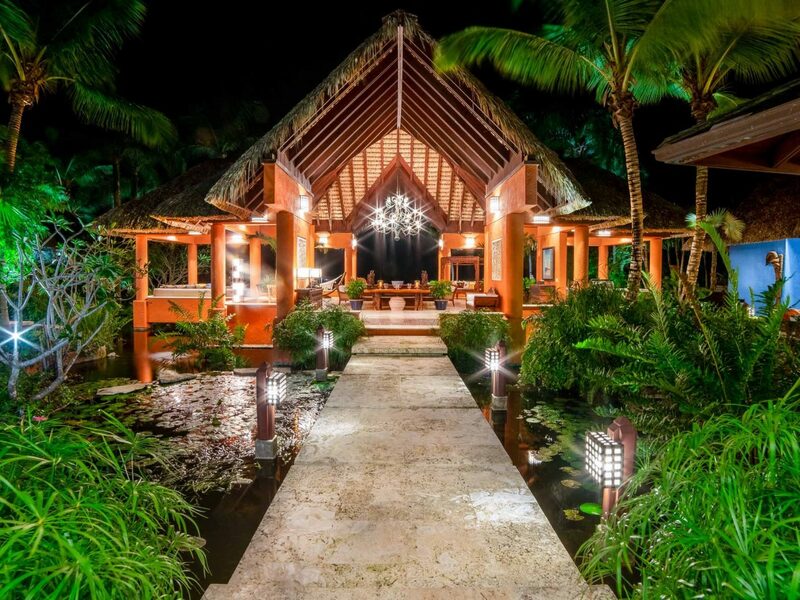 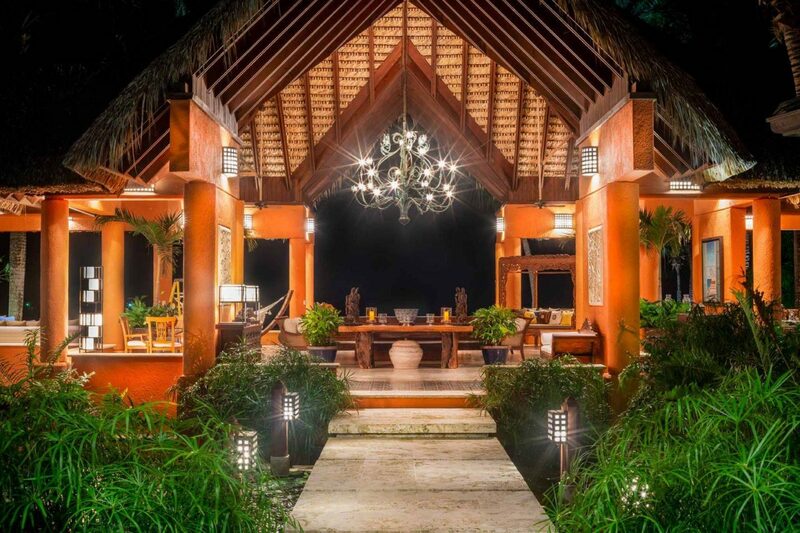 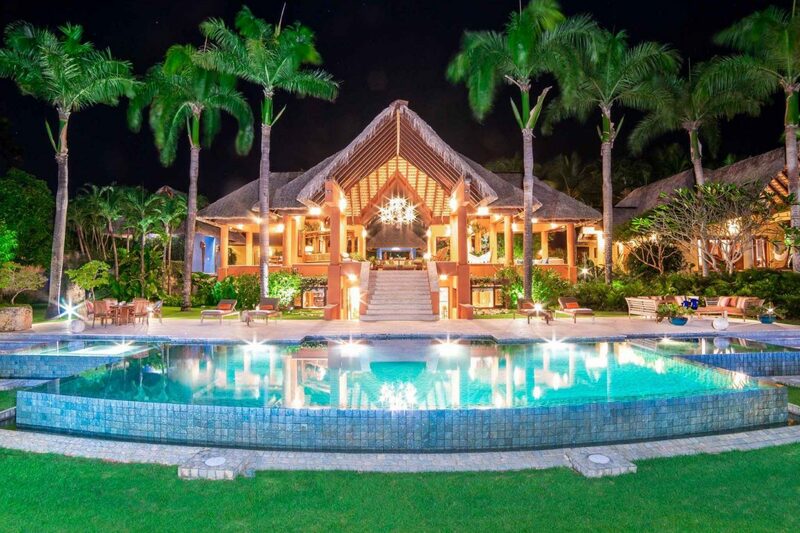 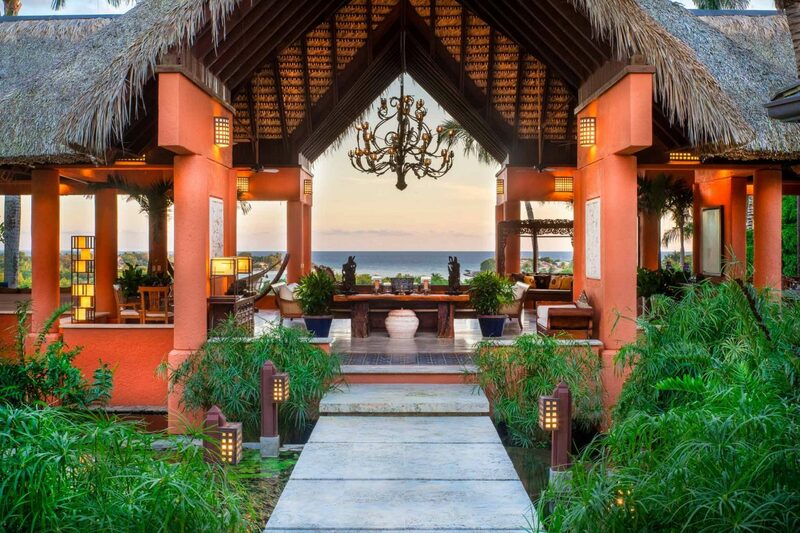 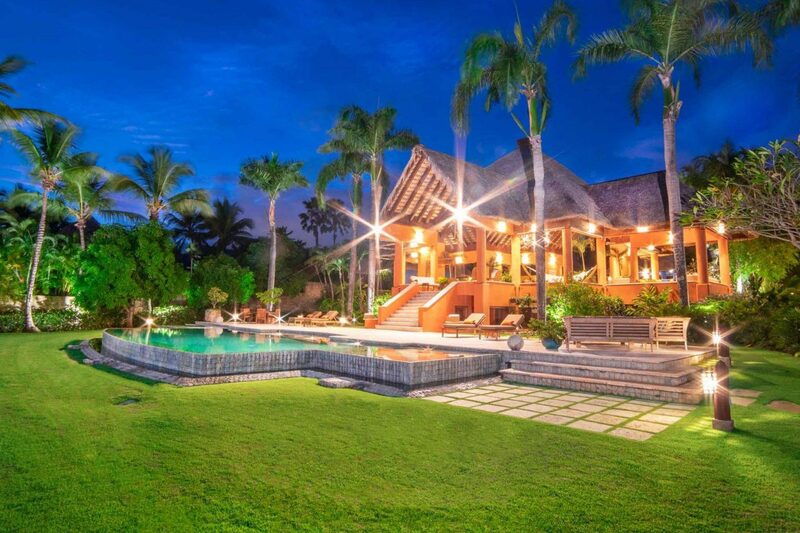 From the lamps and chandeliers marking the beginning and end of every major space, to the grand central palapa, no expense was spared, nor detail overlooked during the development of this custom home, designed by prominent Dominican architect Simon Lopez. 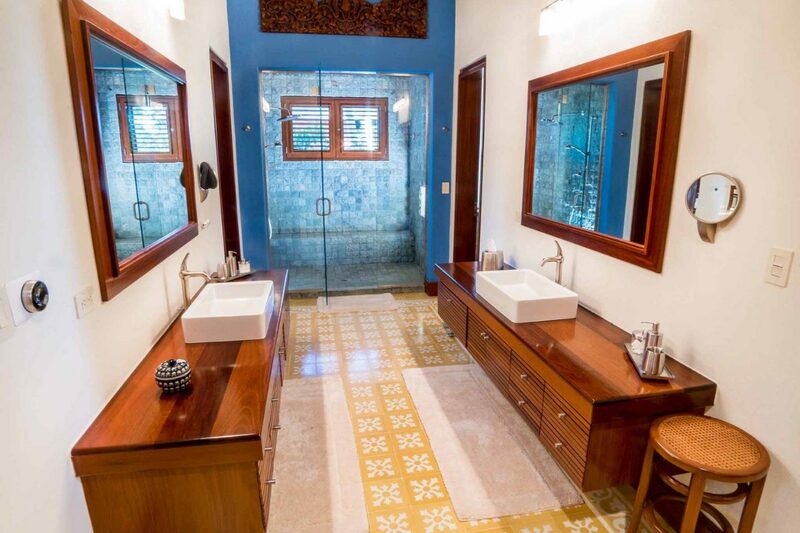 African Ipe wood is used throughout the house due to its noble qualities and unmatched strength. 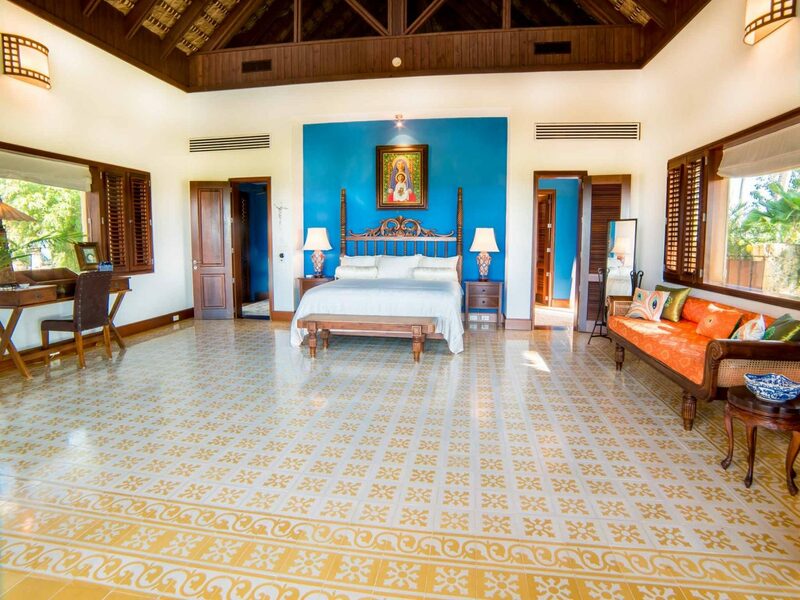 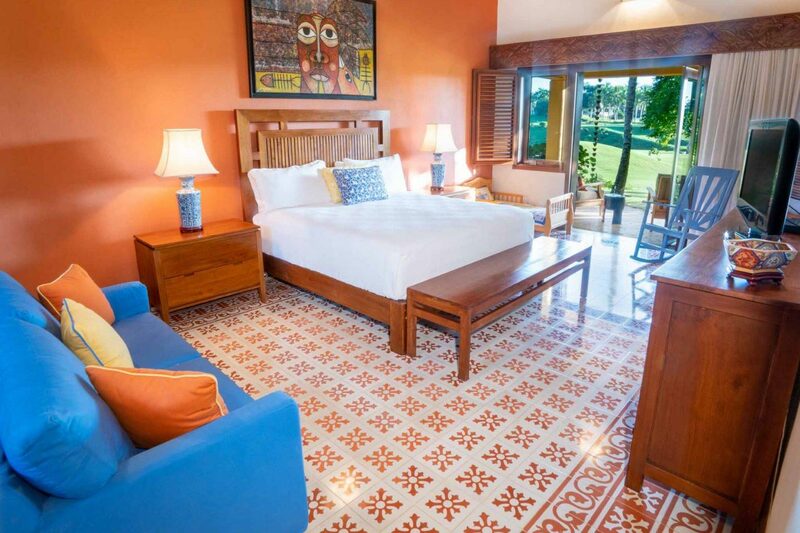 The artisanal, multi-color floor tiles used in the various bedrooms are all traditional square tiles (save the corners), hand-made, one-by-one; no two tiles are alike. 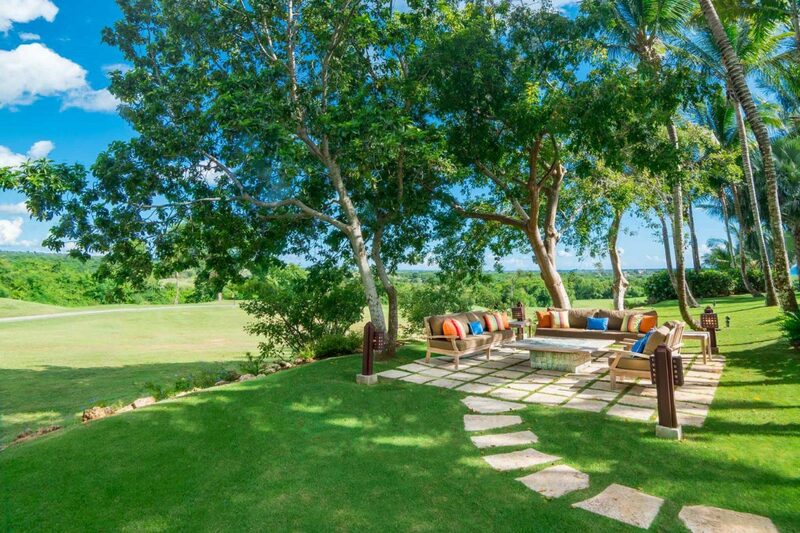 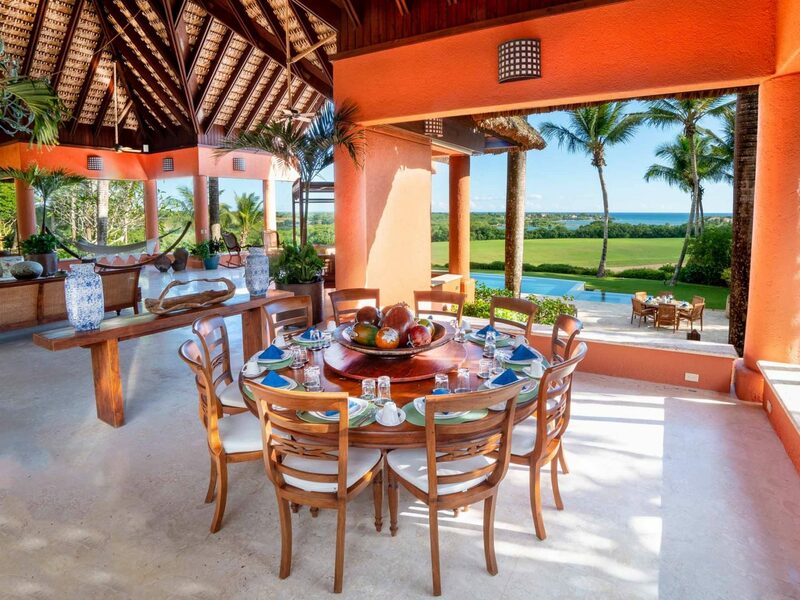 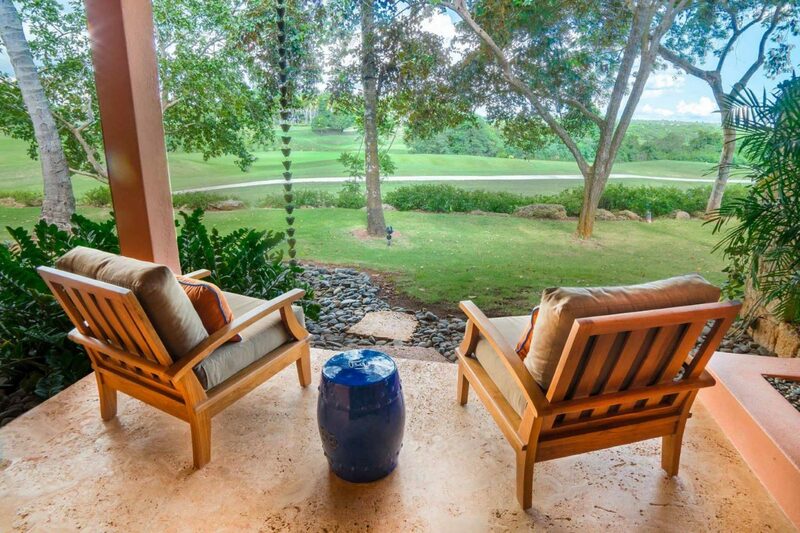 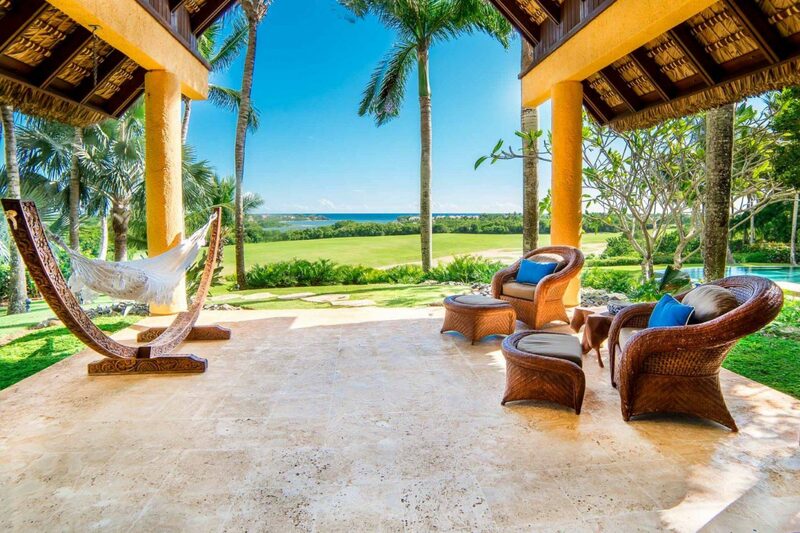 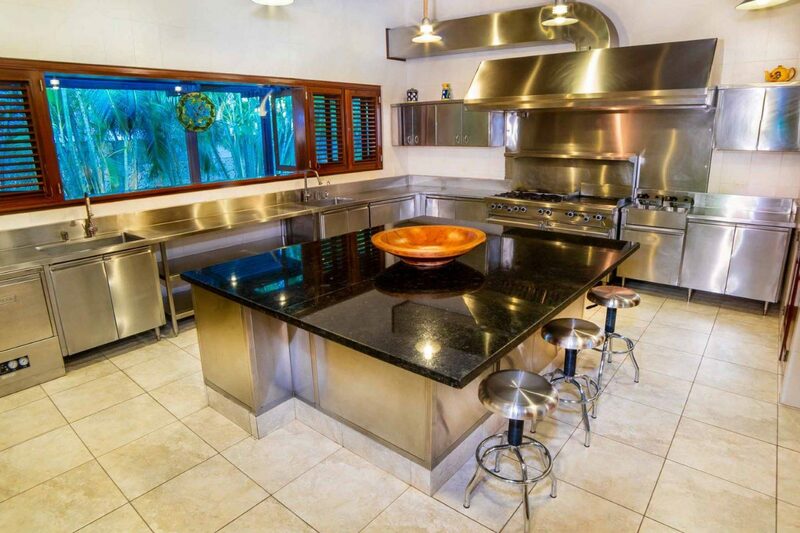 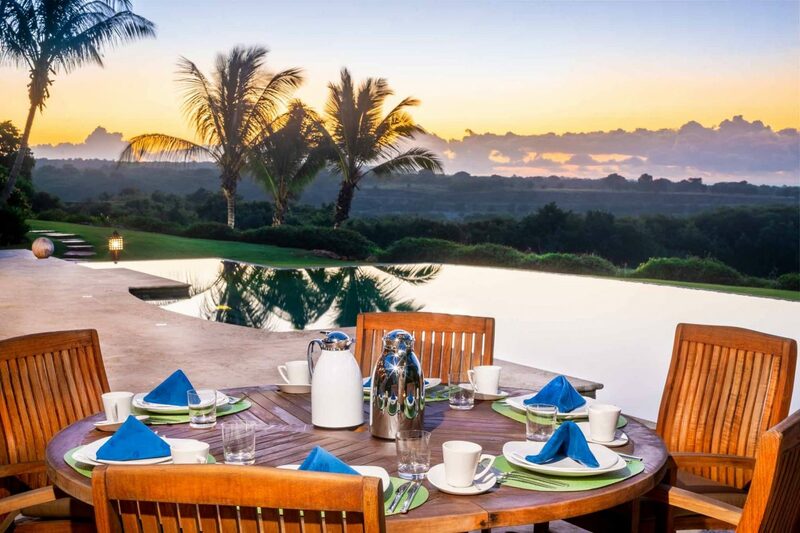 Perched high above the world-renowned Dye Fore golf course and situated at the end of a cul-de-sac, oriented towards the South-East, experience rejuvenating Caribbean breezes and relaxing vistas of green, blue and white in complete and total privacy. 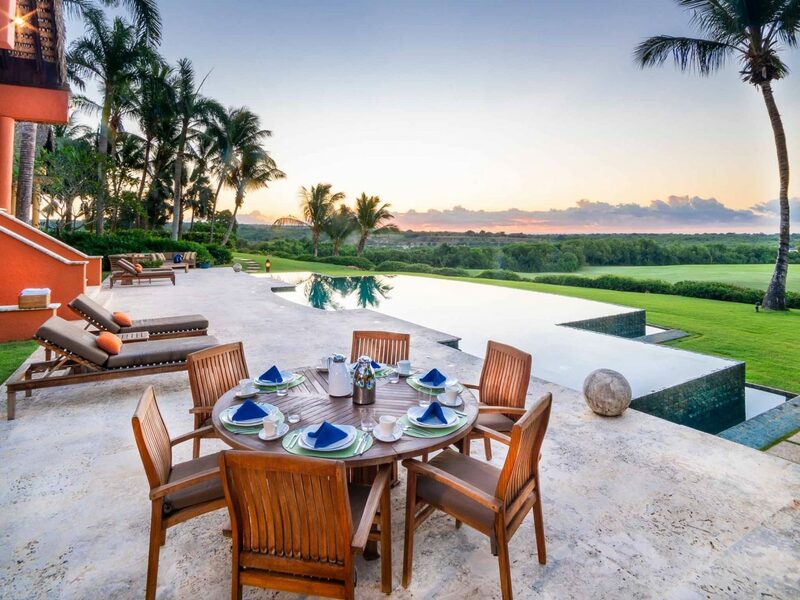 Watch the moon rise over the horizon every evening as the orientation of the home is in perfect harmony with the lunar axis, or gaze out towards the Chavon River and Caribbean Sea, as limits and obstacles do not exist when it comes to the views from Villa Alegria. 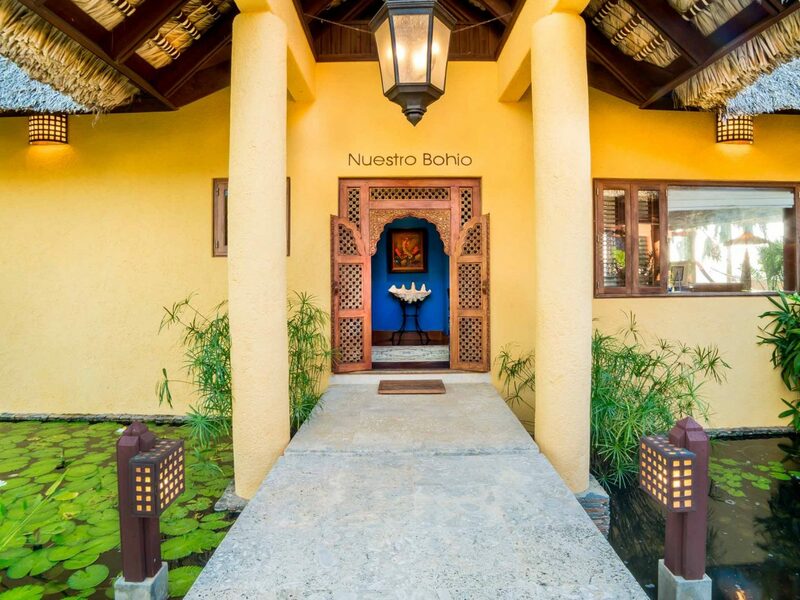 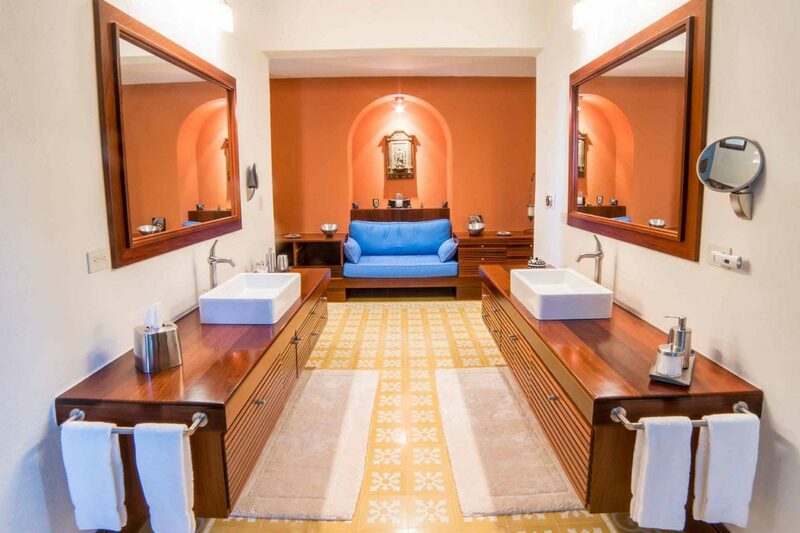 Peace and tranquility are standard throughout the residence. 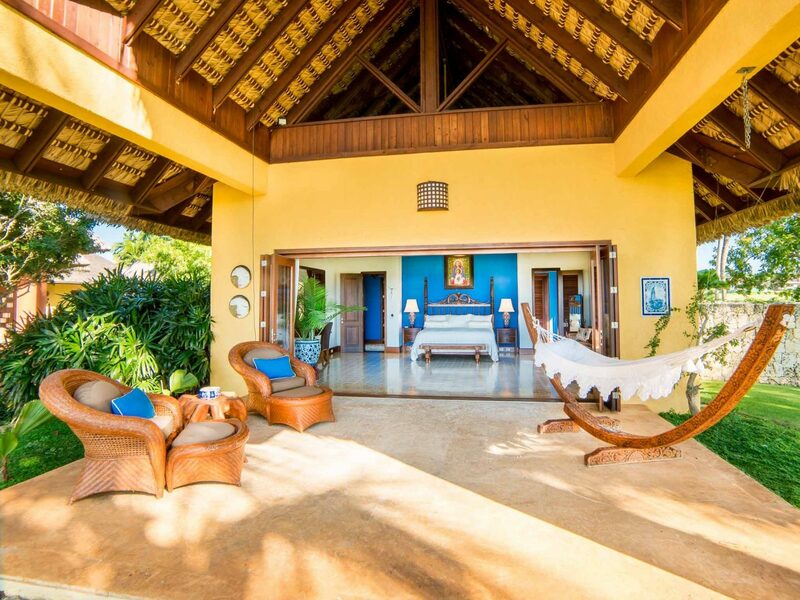 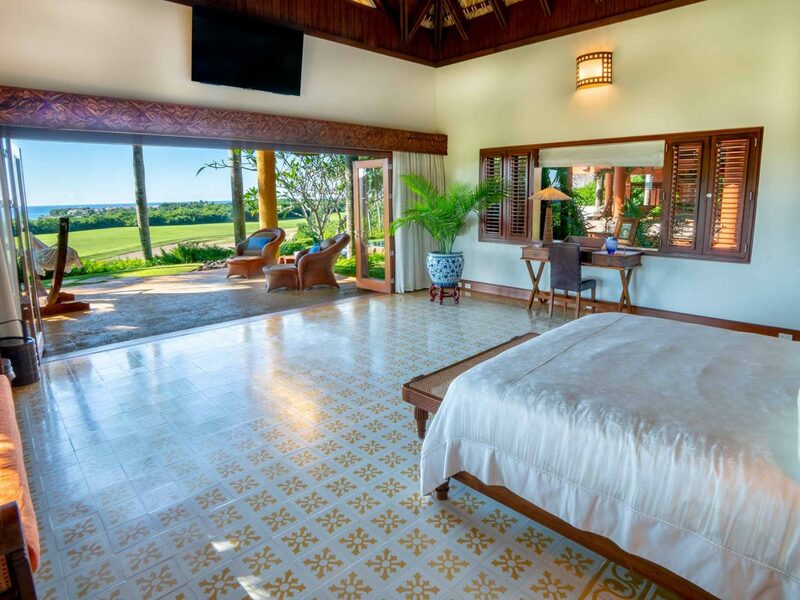 The master bedroom, with its magnificently high artisanal-thatch ceilings, delightful floor, and ultra-spacious closet and bathroom with outdoor jacuzzi benefits from endless ocean and golf views. 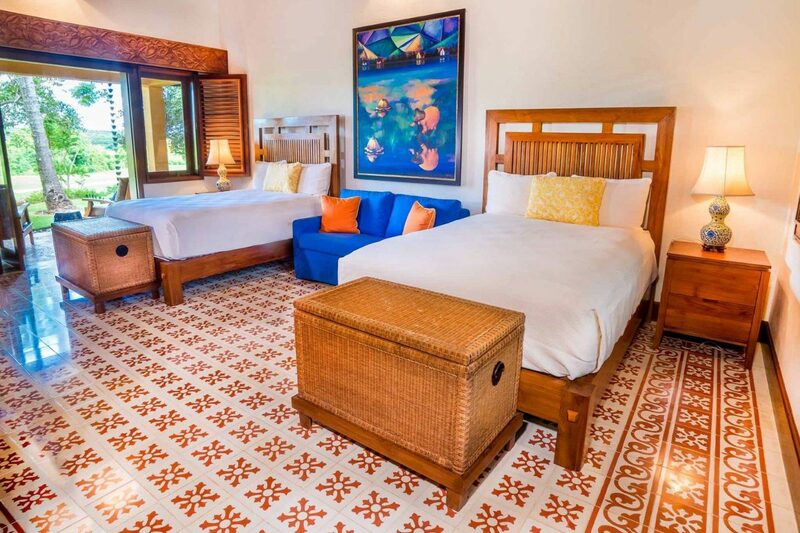 And the four-primary guest-suites all have connecting doorways to the adjoining room to allow families to be even closer during the sleeping hours. 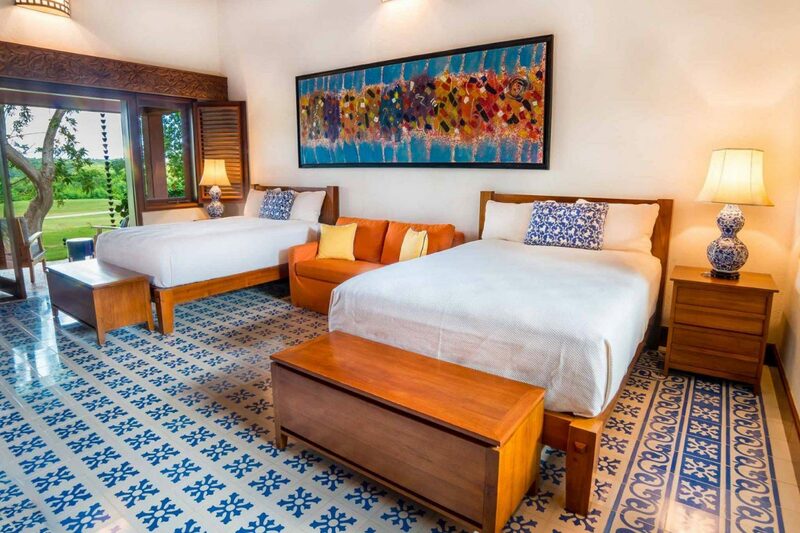 All lateral guest bedrooms have private terraces, exterior gardens and look out towards Pete Dye’s famous golf course. 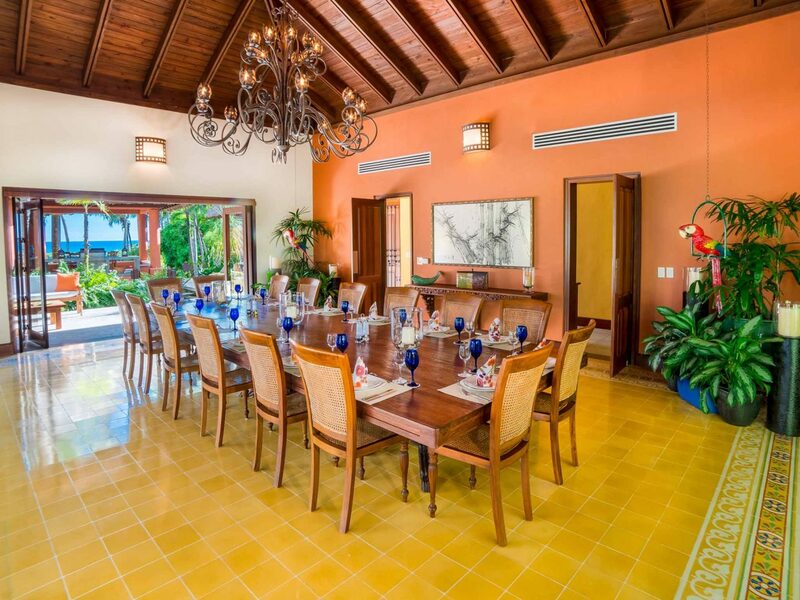 The dining room overlooks the interior gardens. 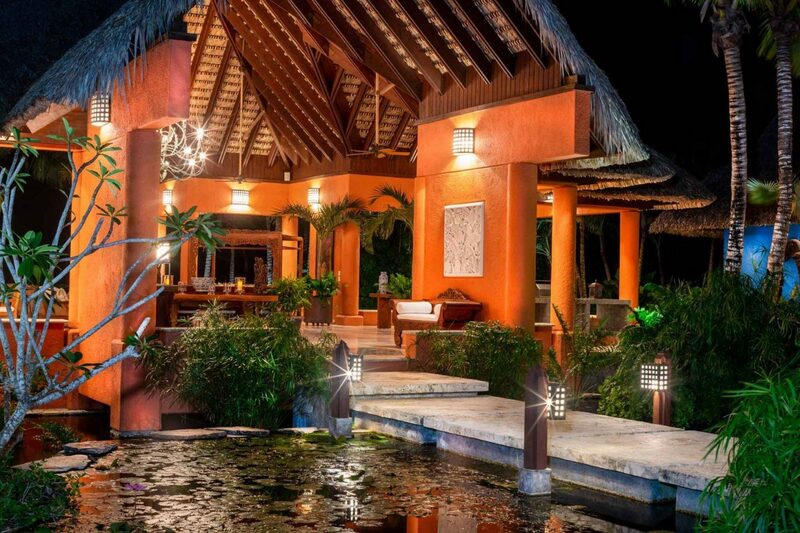 Dine al fresco in the central palapa or under the stars on the pool deck. 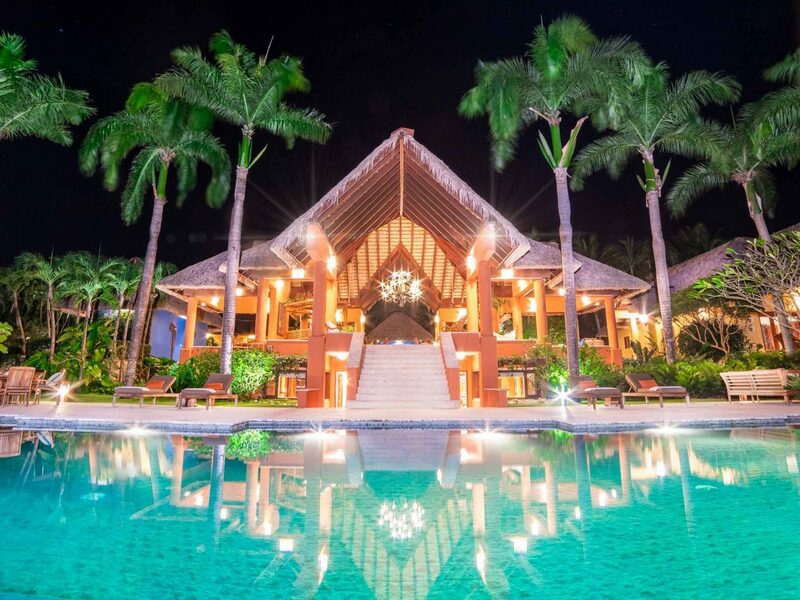 The iconic infinity pool, designed for swimming laps as well as for relaxing and playing, is covered with ultra-high-quality aquamarine colored tiles imported from Bali. 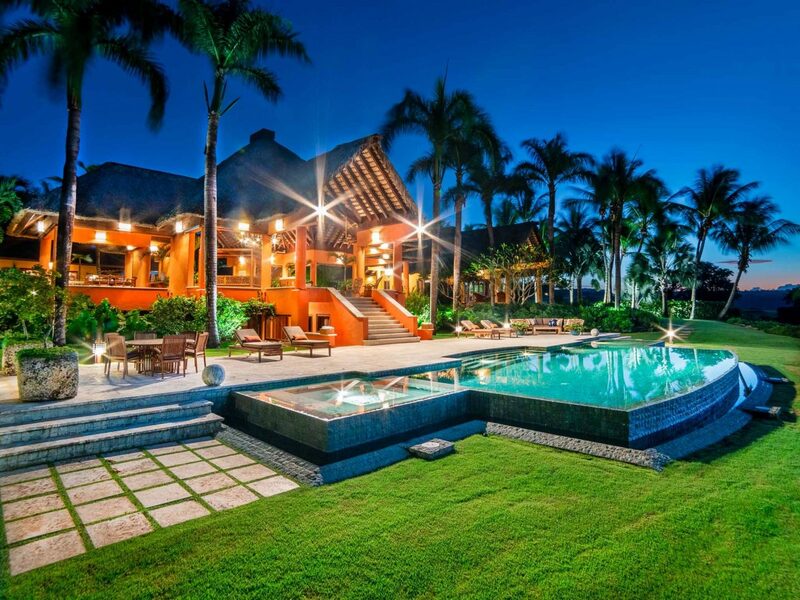 The elegant tiles are placed polished side up inside the pool, and rustic side up outside of the pool, for safety as well as beauty, the main pool and the jacuzzi have heating upon demand. 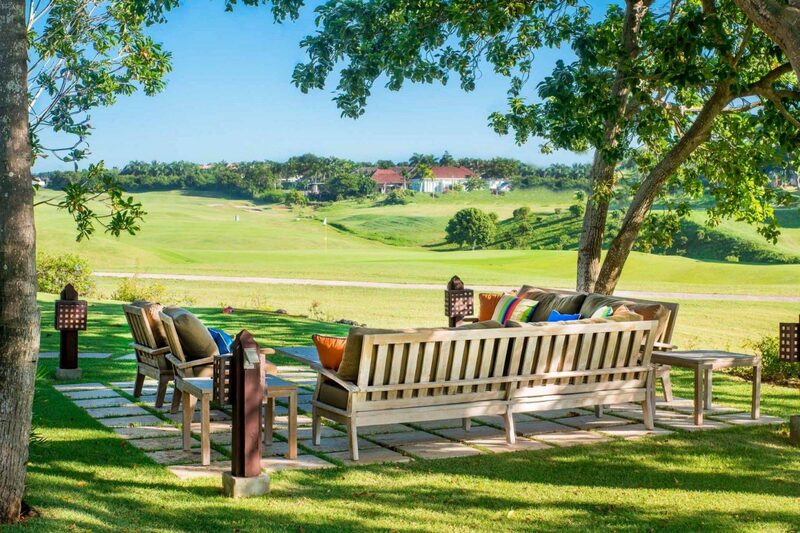 The back-yard garden, which is separated into three independent grass terraces, serve to both give additional character to the property and to allow children to play field games, while allowing the adults to both maintain a high-level of peace but at the same time keep a watchful eye on the family. 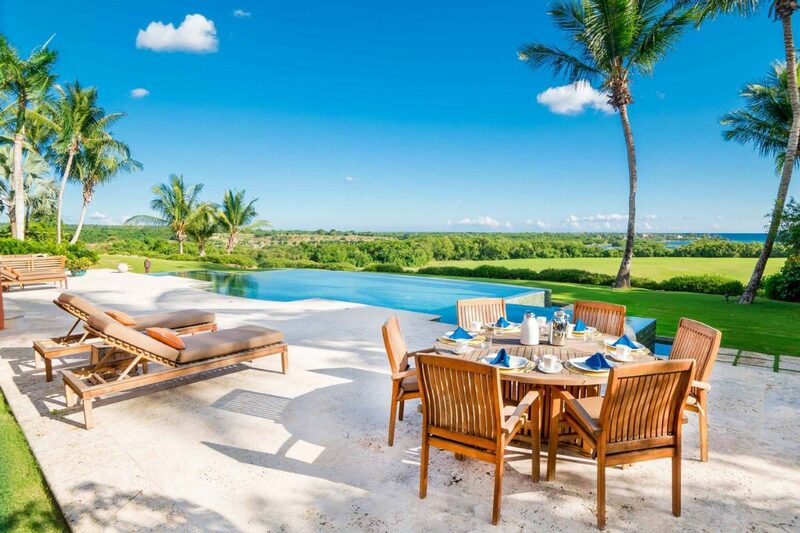 Located just 5 minutes from the La Romana International Airport (LRM) and just 30 minutes from Punta Cana (PUJ) lies a small piece of paradise benefiting from the highest levels of quality, privacy and architectural design as well as relishing amongst the most captivating and endless ocean views towards mother nature and infinity.